Kentucky state Sen. Dorsey Ridley of Henderson says it’s all but certain that he will join the race for retiring U.S. Rep. Ed Whitfield’s 1st District congressional seat. Whitfield announced last week he would not seek a 12th term in Washington next year. Ridley, a Democrat, served in the Kentucky House from 1987 to 1994 and has represented the Senate’s 4th District since 2004. Ridley said he is currently putting together the foundation of his campaign and doesn’t yet know when he will formally announce his run. Ridley said he will tout his experience with the I-69 project among his credentials at the state level. He said he will be a jobs candidate. 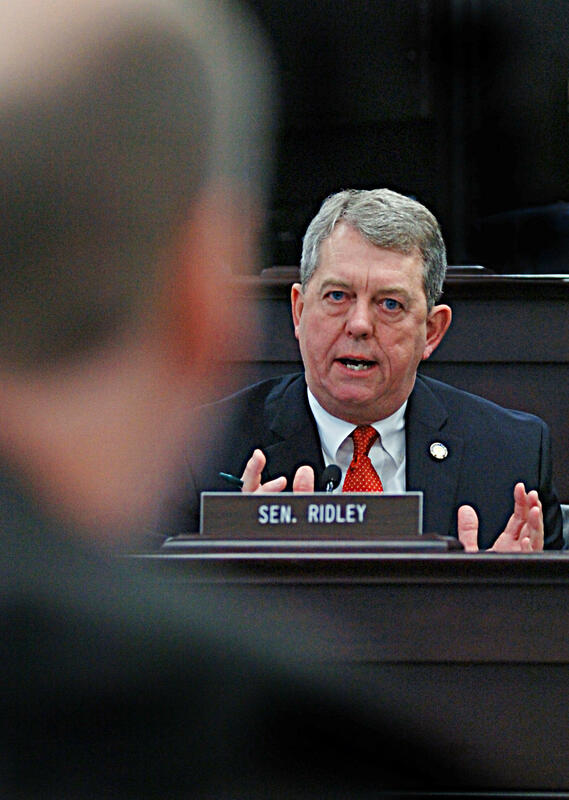 “For me, being in Congress will be all about helping working families in west Kentucky with jobs and opportunities," Ridley said. On the Republican side, Agriculture Commissioner James Comer, Hickman County Attorney Jason Batts and Whitfield’s longtime field representative Michael Pape have all announced their candidacies. Pape has since left Whitfield's staff. Whitfield released a statement wishing Pape and his family the best, but did not endorse him. Former Hopkins County Attorney Todd P'Pool, a Republican, and Calloway County Democratic Party chair David Ramey are also considering runs for the seat. The field is growing among Republicans interested in Kentucky’s 1st District Congressional seat. Ed Whitfield announced this week that he would not seek re-election next year. Kentucky Agriculture Commissioner James Comer is joining a growing field of Republican candidates seeking the first district congressional seat of retiring Congressman Ed Whitfield. Comer went public with his intentions today. Kentucky's 1st District U.S. Rep. Ed Whitfield has announced he is not running for re-election in 2016. The announcement comes during Whitfield's 11th term representing the 35 counties of Kentucky's 1st Congressional district. Whitfield's longtime district director Michael Pape tells WKMS News he will be seeking the Republican nomination to fill the seat. A bill that environmental groups say would damage the Clean Air Act is advancing through the House of Representatives. The bipartisan bill is spearheaded by Kentucky Congressman Ed Whitfield.